1920's to '40's roots swing music with a peppering of country music, lush harmonies, ear twsting arrangements is what this fabulous six piece band delivers. Moo’d Swing, a 5 member roots/swing band, covers both popular and obscure tunes from the pre and post war era, as well as performing original material. The band, together for 14 years, is known for its trademark 3 part harmonies and crazy mix of instrumentation. It’s not just the ukulele or accordion (to mention 2 of the 7 instruments played) but the vocal arrangements that offers a refreshing new twist to some of the great ol’ chestnuts from the past. The band includes Donna Green (played with Gwen Swick/Quartette, Colin Linden), Mike Sanderson (played with Mose Scarlett), Bob Birnie (played with Joanne Crabtree) Aaron Solomon (Bebop Cowboys) and Rachel Melas (Swamperella). Moo’d Swing has performed at Mariposa, Roy Thompson Hall and an extensive list of festivals, clubs and fairs. 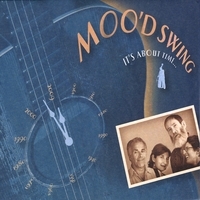 Moo’d Swing guarantees an entertaining, upbeat and sophisticated musical experience. We hope to have the opportunity to play for your audience. Moo'd Swing is worth seeing. I have seen Moo'd Swing on numerous occasions and they are always great. They do a mix of standard oldies with great harmonies and a few they have written themselves. Both CD's are fantastic and i highly recommend them.